Jules Polonetsky serves as CEO of the Future of Privacy Forum, a non-profit organization that serves as a catalyst for privacy leadership and scholarship, advancing principled data practices in support of emerging technologies. Jules is co-editor of The Cambridge Handbook of Consumer Privacy, published by Cambridge University Press (2018). More of his writing and research can be found on Google Scholar and SSRN and at fpf.org. Jules is also Co-chairman of the Israel Tech Policy Institute, based in Tel Aviv. 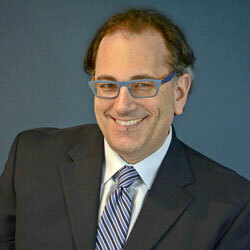 John Verdi is Vice President of Policy at the Future of Privacy Forum (FPF). John supervises FPF’s policy portfolio, which advances FPF’s agenda on a broad range of issues, including: Artificial Intelligence & Machine Learning; Algorithmic Decision-Making; Ethics; Connected Cars; Smart Communities; Student Privacy; Health; the Internet of Things; Wearable Technologies; De-Identification; and Drones. John previously served as Director of Privacy Initiatives at the National Telecommunications and Information Administration, where he crafted policy recommendations for the US Department of Commerce and President Obama regarding technology, trust, and innovation. John led NTIA’s privacy multistakeholder process, which established best practices regarding unmanned aircraft systems, facial recognition technology, and mobile apps. Prior to NTIA, he was General Counsel for the Electronic Privacy Information Center (EPIC), where he oversaw EPIC’s litigation program. John earned his J.D. from Harvard Law School and his B.A. in Philosophy, Politics, and Law from SUNY-Binghamton. Click here to view John’s full bio. Christal Shrader-Sandi oversees FPF’s internal staff and business functions including operations, HR, finance, communications, development strategy/revenue generation, and strategic planning. She was previously the Director of Operations at Arabella Advisors and the Assistant Director at the Center for Middle East Policy at The Brookings Institution. She is passionate about helping her colleagues grow and realize their full potential in supporting socially impactful work. 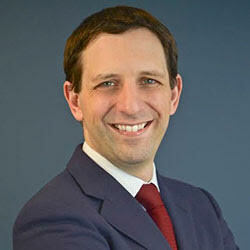 Christopher Wolf is the co-chair of the Future of Privacy Forum. Chris is also a partner in the Washington, DC office of Hogan Lovells LLP, where he is a leader of that firm’s privacy practice group. The views expressed by the Future of Privacy Forum are solely its own and do not reflect the views of Hogan Lovells LLP or its clients. MSNBC called Chris Wolf a “pioneer in Internet law”, reflecting his involvement in some of the earliest and precedent setting cases involving technology agreements, copyright, domain names, jurisdiction — and privacy. As the ability to collect, store, share and transfer personal information over the Internet increased, privacy became the main focus of Chris’ law practice. And Chris became known as a pioneer in privacy law too. It was for that reason that the prestigious Practising Law Institute (PLI) tapped Chris to be Editor and Lead Author of its first-ever treatise on privacy law. He also is co-editor of the PLI book, “A Practical Guide to the Red Flag Rules”, the identity theft prevention regulations issued by the FTC and financial regulators. Chris has served as an adjunct law professor on Internet and privacy law, and is a frequent lecturer in continuing legal education programs on the subject. Click here to view Chris’ full bio. Dr. Mary J. Culnan is Professor Emeritus at Bentley University. She also serves as a Senior Research Fellow in the Center for IT and the Global Economy (CITGE) at the Kogod School of Business, American University. Mary has testified before Congress, the Massachusetts Senate, and other government agencies on a range of privacy issues. In 1993, she served on a White House Task Force on Presidential Correspondence. From 1997-98, she served as a Commissioner on the President’s Commission on Critical Infrastructure Protection. In 2000 she was a member of the FTC’s Advisory Committee on Access and Security. Since 2001, Mary has been a member of the Government Accountability Office’s Executive Committee on Information Management and Technology (ECIMT). Business Week’s e-biz Web site profiled Mary as a “Mover & Shaker” in 1999. Click here to view Mary’s full bio. Sandra R. Hughes is a certified Business Strategy and Leadership coach in areas of Risk Management and Information Governance. She retired in 2012 after a career spanning 30+ years with Procter & Gamble, the worlds largest consumer products company. In her last decade Sandy served as Global Privacy Executive, in addition to leading global programs in Ethics & Compliance, Information Governance, Social Media Policy and Competitive Intelligence. In 2012 the International Association of Privacy Professionals (IAPP) recognized her with the Vanguard Award for best Corporate Practitioner and the Executive Women’s Forum (EWF) with a Lifetime Achievement Award as a Woman of Influence. Click here to view Sandra’s full bio. Debra Berlyn serves as the Executive Director of The Project to Get Older Adults onLine (GOAL), and she is also the President of Consumer Policy Solutions. Ms. Berlyn is a seasoned veteran of telecommunications and consumer policy issues and an advocate for consumers of technology services. She represented AARP on the digital television transition and has worked closely with national aging organizations on several Internet issues, including online safety and privacy concerns. Click here to view Debra’s full bio. Alan Raul is the founder and leader of Sidley’s highly ranked Privacy, Data Security and Information Law practice. He represents companies on federal, state and international privacy issues, including global data protection and compliance programs, data breaches, cybersecurity, consumer protection issues and Internet law. Alan’s practice involves litigation and counseling regarding consumer class actions, FTC, State Attorney General, Department of Justice and other government investigations, enforcement actions and regulation. Alan provides clients with perspective gained from extensive government service, as well. He previously served as Vice Chairman of the White House Privacy and Civil Liberties Oversight Board, General Counsel of the Office of Management and Budget, and of the U.S. Department of Agriculture, and Associate Counsel to the President. Click here to view Alan’s full bio. 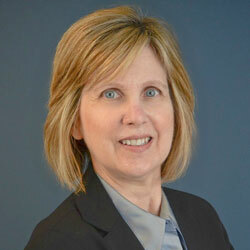 Barbara Kelly serves as Leadership Director of the Future of Privacy Forum. In this role, she promotes FPF’s mission to advance responsible data practices through outreach, communications and membership development with the FPF’s Advisory Board, a leadership group of privacy professionals representing industry, academia, law and consumer advocacy. She has worked in development and technology roles for the U.S. chapter of Transparency International and at the National Center for State Courts, executing constituency-building strategies and growing financial resources at all levels. She began her career at the Supreme Court of Virginia as a user’s advocate in the development of statewide judicial information systems. She is a graduate of the College of William and Mary and Virginia Commonwealth University. Click here to view Barbara’s full bio. Christy Harris, CIPP/US, is the Director of Technology & Privacy Research at the Future of Privacy Forum (FPF), where she leads internal research and public policy efforts on issues of data privacy and online advertising, mobile apps, and platforms. Prior to joining the FPF, Christy spent 19 years at AOL, where she helped navigate novel consumer privacy issues in the development of internet staples such as AOL Mail, Advertising.com, MapQuest, and The Huffington Post. In her role as Senior Director of Global Privacy at AOL, Christy specialized in the intersection of privacy and technology with the integration of multiple online advertising platforms and other offerings, the expansion to worldwide markets, and engagement with new and evolving legal and self-regulatory requirements globally. Most recently, she also served as Privacy Program Manager at the cybersecurity company FireEye, Inc., where she implemented a vendor management program in preparation for the GDPR and worked to streamline global data practices. Click Here to view Christy’s full bio. Brenda Leong, CIPP/US, is Senior Counsel and Director of Strategy at the Future of Privacy Forum. She oversees strategic planning of organizational goals, as well as managing the FPF portfolio on biometrics, particularly facial recognition, along with the ethics and privacy issues associated with artificial intelligence. She works on industry standards and collaboration on privacy concerns, by partnering with stakeholders and advocates to reach practical solutions to the privacy challenges for consumer and commercial data uses. Prior to working at FPF, Brenda served in the U.S. Air Force, including policy and legislative affairs work from the Pentagon and the U.S. Department of State. She is a 2014 graduate of George Mason University School of Law. Click here to view Brenda’s full bio. Amelia is the Director of the Education Privacy Project at the Future of Privacy Forum. She leads FPF’s work to ensure the responsible use of student data and education technology in schools, helping educators with resources and information, and seeking inputs from all stakeholders to ensure students succeed. Among other responsibilities, Amelia runs the Education Privacy Resource Center website, FERPA|Sherpa, oversees the addition of signatories to the Student Privacy Pledge, tracks state and federal legislation, and creates publications on both K-12 and Postsecondary student privacy trends and major topics. Click here to view Amelia’s full bio. Gabriela Zanfir-Fortuna is a data protection professional. She obtained her PhD in law in 2013, from the University of Craiova, with her thesis “The rights of the person with regard to personal data protection”. In 2015, C. H. Beck published her book on the rights of the data subject, “Personal data protection. Rights of the data subject.” She obtained the first ever awarded “Junior Scholar Award” at the Computers, Privacy and Data Protection conference in Brussels, 2014, for a paper in which she deconstructs the right to be forgotten into its prerogatives and she reveals that this particular right is present in EU data protection laws since the ’70s. Gabriela worked for more than two years (March 2014- June 2016) for the European Data Protection Supervisor in Brussels, both for ‘Supervision and Enforcement’ and ‘Policy and Consultation’ Units. Notably, she represented the EDPS in various subgroups of the Article 29 Working Party, being a member of the drafting team of WP29 that assessed the EU-US Privacy Shield. Gabriela worked on international data transfers, international relations, EU large scale IT-systems (particularly, the Schengen Information System), case-law overviews and she was a member of the Court team. Click here to view Gabriela’s full bio. 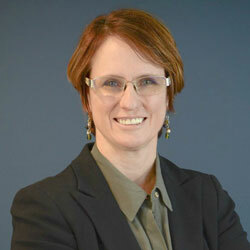 Kelsey Finch, CIPP/US, is Senior Counsel at the Future of Privacy Forum. Her projects at FPF include consumer wellness and wearables, big data, de-identification standards and privacy by design. Before coming to FPF, Kelsey was an inaugural Westin Fellow at the IAPP, where she produced practical research on a range of privacy topics and edited the FTC Privacy Casebook. She is a graduate of Smith College and the Benjamin N. Cardozo School of Law, with a concentration in Intellectual Property & Information Law. Click here to view Kelsey’s full bio. Click here to view Stacey’s full bio. 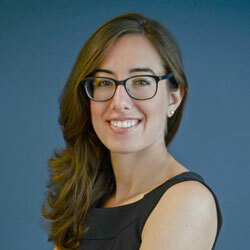 Lauren Smith, CIPP/US, is Senior Counsel at the Future of Privacy Forum (FPF), focusing on big data and the Internet of Things as related to connected cars, data ethics, algorithmic decision-making, and health technology. Lauren leads the FPF Connected Cars Working Group, and serves as an expert and thought leader across the country through speaking engagements, media interviews, and interaction with state and federal regulators and strategic partners. Click here to view Lauren’s full bio. 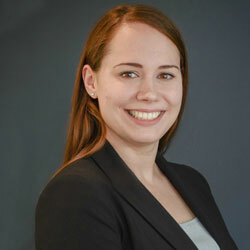 Sara Collins joins FPF as a Policy Counsel for the Education Privacy Project. Sara previously worked as an investigations attorney in the Enforcement Unit at Federal Student Aid. She has also worked as the Director of Legal Services for Veterans Education Success, a non-profit focused on helping veterans who have been harmed by predatory education institutions. Click here to view Sara’s full bio. Tyler Park is a Policy Counsel. Tyler supports all aspects of the policy work surrounding student data and privacy. Prior to joining FPF, he served as a Legal Fellow in the Wireless Telecommunications Bureau at the Federal Communications Commission, where he worked on a diverse set of spectrum management and licensing issues. Click here to view Tyler’s full bio. Jenn Abramson is the Event Planner at the Future of Privacy Forum. Jenn is responsible for all matters relating to FPF events including contracts, vendors, communications, and logistics. She was previously the Senior Event Manager at The ALS Association DC/MD/VA Chapter. Prior to The ALS Association, she was the Sales and Marketing Director at NFP Golden & Cohen. Jenn was the VP of Communications for The DC Society of Human Resource Management from 2015-2018. She currently serves on the Membership Committee for the DC SHRM. In 2016 she served as the Dinner Chair for the DC Dine to Defeat ALS. She loves organizing and bringing people together for meaningful events and all the positive outcomes this brings. Jenn earned her Bachelor of Arts and Science in Sociology from George Washington University and is a Washington, DC native. Christina Pickeral is Future of Privacy Forum’s Membership Management Associate. In this role, Christina is the primary manager of the day-to-day business relationship between FPF and its commercial financial supporters. She manages FPF’s membership database ensuring all information is up-to-date; carries out the on-boarding, updating, and off-boarding process for member companies; and generally manages all internal processes around membership data tracking, including training other FPF staff on related processes. Christina is an experienced Member Relations Specialist with a demonstrated history of working in the non-profit organization management industry. She earned a Bachelor of Arts in History from the University of Maryland College Park. Dr. Monica Bulger is a Senior Fellow at the Future of Privacy Forum. Her work includes studying privacy trade-offs regarding student data use; curating and developing student privacy training resources for K-12 schools; weighing in on student privacy news and developments; and surveying the priorities and needs of parents, teachers, FPF Advisory Board members, and other stakeholders. Her recent publications include The Promises, Challenges, and Futures of Media Literacy (2018), The Legacy of inBloom (2017), Where Policy and Practice Collide: Comparing United States, South Africa, and European Union Approaches to Protecting Children Online (2017) and Personalized Learning: The Conversations We’re Not Having (2016). Dr. Bulger recently developed a twelve-part media literacy series aimed at teens for Crash Course on Youtube. She co-authors the Student Data Privacy, Equity and Digital Literacy newsletter with the Youth and Media team at the Berkman Klein Center for Internet & Society at Harvard University. She regularly convenes discussions among policymakers, technologists, researchers, journalists, and educators about issues affecting youth rights, such as privacy, online safety, and media literacy. Click here to view Monica’s full bio. Professor Danielle Citron is the Lois K. Macht Research Professor & Professor of Law at the University of Maryland Francis King Carey School of Law. Her work focuses on information privacy, cyber law, automated systems, and civil rights. In addition to 20 articles and essays in law reviews, Professor Citron is the author of Hate Crimes in Cyberspace published by Harvard University Press in 2014. Cosmopolitan and Harper’s Bazaar nominated her book as one of the top 20 “Best Moments for Women” in 2014. She frequently writes for The Atlantic, New York Times, Time, CNN, The Guardian, the New Scientist, and Slate. She is a regular contributor at Forbes.com and Concurring Opinion. Click here to view Professor Citron’s full bio. Henry is a senior fellow at FPF. He is Policy Director at the Community Living Policy Center at the University of California, San Francisco. He is the former Director of the U.S. Department of Health and Human Services Office on Disability and a founding Principal Deputy Administrator of the Administration for Community Living. He also served as a presidentially-appointed member of the Federal Commission on Long-Term Care, advising Congress on how long-term care can be better provided and financed for the nation’s older adults and people with disabilities, now and in the future, and was Executive Vice President of the American Association of People with Disabilities, which promotes equal opportunity, economic power, independent living and political participation for people with disabilities. 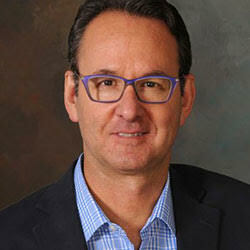 He is Affiliated Faculty at the Institute for Health & Aging at UCSF and principal of Claypool Consulting. Click here to view Henry’s full bio. Stanley W. Crosley has over 20 years of applied experience in law, data governance and data strategy across a broad sector of the economy, including from inside multinational corporations, academia, large law firm and boutique practices, not-for-profit advocacy organizations, and governmental agencies, and is the Co-Director of the Indiana University Center for Law, Ethics, and Applied Research in Health Information (CLEAR), is Counsel to the law firm of Drinker Biddle & Reath in Washington, DC, and Principal of Crosley Law Offices, LLC. Stan is a Senior Strategist at the Information Accountability Foundation and a Senior Fellow at the Future of Privacy Forum, where he leads health policy efforts. He is an Adjunct Professor of Law at Maurer School of Law, Indiana University and lectures on global privacy and data protection, health privacy, and data strategy. Leslie Harris is a Senior Fellow at FPF. Leslie is an Internet and technology policy lawyer who has been closely involved in the development of seminal Internet policy and regulation in Congress, Executive Branch agencies, the European Union and global governance bodies including the OECD,UNESCO and ICANN. She is currently President of the Harris Strategy Group, a senior level consultancy providing strategic advice on policy and strategy related to new technology, civil liberties and human rights. Click here to view Leslie’s full bio. Mike Hintze is a partner at Hintze Law PLLC and a recognized leader in privacy and data protection law, policy, and strategy. He was previously Chief Privacy Counsel at Microsoft, where, for over 18 years, he advised on data protection compliance globally, and helped lead the company’s strategic initiatives on privacy differentiation and public policy. Mike also teaches privacy law at the University of Washington School of Law, is a Senior Fellow with the Future of Privacy Forum, serves as an adviser to the American Law Institute’s project on Information Privacy Principles, and has been a member of multiple advisory boards for the International Association of Privacy Professionals and other organizations. Mike has testified before Congress, state legislatures, and European regulators; and he is a sought-after speaker and regular writer on data protection issues. Click here to view Mike’s full bio. The Future of Privacy Forum is pleased to announce the addition of Mark MacCarthy as a Senior Fellow. MacCarthy will work with FPF staff and members on data ethics, artificial intelligence and other issues. Mark MacCarthy is an adjunct professor at Georgetown University, where he teaches courses in technology policy in the Communication, Culture, and Technology Program and courses on privacy and AI ethics in the Philosophy Department. He is also a Senior Fellow at the Institute for Technology Law and Policy at Georgetown Law and a Senior Policy Fellow at the Center for Business and Public Policy at Georgetown’s McDonough School of Business. Previously, he was Senior Vice President for Public Policy at the Software & Information Industry Association, where he directed initiatives and advised member companies on technology policy, privacy, AI ethics, content moderation and competition policy in tech. Ira Rubinstein is a Senior Fellow at the Information Law Institute (ILI) of the New York University School of Law. His research interests include Internet privacy, electronic surveillance law, big data, and voters’ privacy. Rubinstein lectures and publishes widely on issues of privacy and security and has testified before Congress on these topics on several occasions. Recent papers include a study of Voter Privacy in the Age of Big Data; a research report on Systematic Government Access to Personal Data: A Comparative Analysis, prepared for the Center for Democracy and Technology and co-authored with Ron Lee and Greg Nojeim; Big Data: The End of Privacy or a New Beginning; published in International Data Privacy Law in 2013 and presented at the 2013 Computer Privacy and Data Protection conference in Brussels; and Privacy by Design: A Counterfactual Analysis of Google and Facebook Privacy Incidents, co-authored with Nathan Good, which won the IAPP Privacy Law Scholars Award at the 5th Annual Privacy Law Scholars Conference in 2012. Prior to joining the ILI, Rubinstein spent 17 years in Microsoft’s Legal and Corporate Affairs department, most recently as Associate General Counsel in charge of the Regulatory Affairs and Public Policy group. Before coming to Microsoft, he was in private practice in Seattle, specializing in immigration law. Click here to view Ira’s full bio. Evan Selinger is a Professor of Philosophy at Rochester Institute of Technology, where he is also the Head of Research Communications, Community & Ethics at the Center for Media, Arts, Games, Interaction, and Creativity (MAGIC). Evan is a prolific academic author and also regularly engages in public scholarship. He’s written for Wired, The Atlantic, Slate, The Wall Street Journal, The Nation, The Christian Science Monitor, The Guardian, Salon, CNN, Bloomberg Opinion, The BBC, New Scientist, Aeon, Forbes, and Huffington Post. Click here to view Evan’s full bio. Peter P. Swire is the Nancy J. and Lawrence P. Huang Professor at the Scheller College of Business of the Georgia Institute of Technology. He is a Senior Fellow with the Future of Privacy Forum, and also a fellow with the Center for American Progress and Center for Democracy and Technology. In November, 2012 he was named the co-chair of the Tracking Protection Working Group of the World Wide Web Consortium, the Do Not Track process. He has been a recognized leader in privacy, cybersecurity, and the law of cyberspace for well over a decade, as a scholar, government official, and participant in numerous policy, public interest, and business settings. From 2009 to 2010 Professor Swire was Special Assistant to the President for Economic Policy, serving in the National Economic Council under Lawrence Summers. From 1999 to early 2001 Professor Swire served as the Clinton Administration’s Chief Counselor for Privacy, in the U.S. Office of Management and Budget, as the only person to date to have government-wide responsibility for privacy issues. Among his other activities when at OMB, Swire was the White House coordinator for the HIPAA Medical Privacy Rule and chaired a White House Working Group on how to update wiretap laws for the Internet age. Professor Swire is lead author of the official texts for the Foundations and U.S. Law examinations for Certified Information Privacy Professionals. Many of his writings appear at www.peterswire.net. Click here to view Peter’s full bio. Omer Tene is an Associate Professor at the College of Management School of Law, Rishon Le Zion, Israel; Affiliate Scholar at the Stanford Center for Internet and Society; and Visiting Fellow at the Berkeley Center for Law and Technology and the Institute for Jewish Law and Israeli Law, Economy and Society. He is Managing Director of Tene & Associates, where he consults the Israeli government, data protection authority and private sector businesses ranging from technology start-ups to Fortune 100 companies in the financial, health, telecom, mobile and online industries on privacy, data protection and law and technology issues. He was appointed by the Israeli Minister of Justice as Member of the National Privacy Protection Council and is a member of the advisory board of the Future of Privacy Forum; European advisory board of IAPP; and Editorial Board of International Data Privacy Law (Oxford University Press). He headed the Steering Committee for the 32nd annual conference of privacy and data protection commissioners. He is a graduate of the JSD and LL.M. programs at NYU School of Law and received an MBA degree from INSEAD as well as LL.M. and LL.B. degrees from Tel Aviv University. He was an associate at the New York office of Debevoise & Plimpton and at the Paris office of Fried Frank and a Senior Research Fellow at the British Institute of International and Comparative Law in London, where he directed the Data Protection Group. Click here to view Omer’s full bio. Michelle Bae is our inaugural Elise Berkower Memorial Fellow. Michelle will be focusing on consumer and commercial privacy issues, from technology-specific areas such as advertising practices, drones, wearables, connected cars, and student privacy, to general data management and privacy areas related to ethics, de-identification, algorithms, and the Internet of Things. Focusing on the advancement of responsible data practices, she will be developing industry best practices and standards and filing comments on proposed regulatory actions. During law school, Michelle worked as a data protection and privacy law intern at Ladas & Parry LLP and a legal intern for the Honorable Judge Timothy S. Driscoll at the Nassau County Commercial Division and the New York State Attorney General’s Office. Prior to law school, Michelle worked in the corporate governance team at Citigroup where she managed board agenda materials with respect to internal data control and developed an online platform. Michelle earned her J.D. from University of Illinois College of Law and her B.A. in Law from Yonsei University. Jeremy Greenberg is the 2018-2019 Future of Privacy Forum Georgetown Policy Fellow. Prior to joining FPF, Jeremy served as a law clerk for the Office of Senator Markey where he worked on a diverse set of privacy and telecommunications issues. Before that, he completed a number of internships related to technology law and policy, including stints with the NTIA, FCC (twice), The Goodfriend Group, and New America’s Open Technology Institute. Jeremy also served as a student attorney for Georgetown’s Institute for Public Representation: Communication and Technology Law section where he focused on children’s privacy issues and the Internet of Things. Jeremy is a 2018 graduate from Georgetown University Law Center. At Georgetown, he was a member of the Georgetown Law Technology Review where he published several articles related to privacy, cybersecurity, and telecommunications law and policy. Jeremy earned his Bachelor’s Degree from Ithaca College, where he majored in Cinema, Photography, and Media Arts, and minored in Jewish Studies. Chanda Marlowe, CIPP/US, is our inaugural Christopher Wolf Diversity Law Fellow. Chanda will be focusing on consumer and commercial privacy issues including general data management, de-identification, privacy ethics, algorithms, the Internet of Things, and Connected Cars. She will be working on proposed regulatory actions, research and analysis of European privacy issues, and tracking consumer privacy legislation. During law school, Chanda worked as a legal intern for the Future of Privacy Forum, the ACLU of Northern California, the North Carolina Department of Justice, and the Honorable Judge Wanda Bryant at the North Carolina Court of Appeals. She also worked closely with the University of North Carolina-Chapel Hill Center for Media Law and Policy as a Roy H. Park Fellow. Chanda has a dual-degree (J.D./M.A.) from the UNC School of Law and the UNC School of Media and Journalism. Chanda also earned her M.A. in Teaching and her B.A. in English Language and Literature from the University of North Carolina at Chapel Hill. Click here to view Chanda’s full bio. Carson Martinez is our Health Policy Fellow. Carson works on issues surrounding health data, particularly where it is not covered by HIPAA. These non-HIPAA health data issues include consumer-facing genetics companies, wearables, medical “big data” and medical device surveillance. Carson also assists with the operation of the Genetics Working Group. Carson was previously an Intern at Intel with the Government and Policy Group, working on health, technology, and policy. Before joining Intel, She was as an intern for the International Neuroethics Society, and a Research Assistant for both Data-Pop Alliance and New York University. Carson graduated from Duke University with a Master’s Degree in Bioethics and Science Policy with a concentration in Technology and Data Policy. She earned her Bachelor’s Degree in Neuroscience with minors in Philosophy and Psychology from New York University. Carson is also a Certified Information Privacy Professional/United States (CIPP/US). Click here to view Carson’s full bio.